Welcome to Boulby Underground Laboratory, the UK’s deep underground science facility, located 1100m below ground in Boulby Mine on the North East coast of England. Boulby is one of just a handful of facilities world-wide suitable for hosting ultra-low background and deep underground science projects. Boulby is a special place for science – ‘a quiet place in the Universe’ – where studies can be carried out almost entirely free of interference from natural background radiation. Studies underway at Boulby range from the search for Dark Matter in the Universe, to studies of cosmic rays and climate, astrobiology and life in extreme environments, development of techniques for deep 3D geological monitoring and studies of radioactivity in the environment. For more information visit the Boulby Underground Laboratory website. The Boulby Underground Laboratory is one of just a handful of facilities world-wide suitable for hosting ultra-low background and deep underground science projects. Boulby is a special place for science – ‘a Quiet Place in the Universe’ – where studies can be carried out almost entirely free of interference from natural background radiation. The Boulby laboratory is located at Boulby Mine, between Saltburn and Whitby on the North-East coast of England and on the edge of the North Yorkshire moors. Boulby is a working potash, polyhalite and rock-salt mine operated by Cleveland Potash Ltd. At 1100m deep, it is the deepest mine in Great Britain. There are a huge network of roadways and caverns underground at Boulby with over 1000kms of tunnel having been excavated since beginning of mining operations in 1968. The salt and potash seams are left over from the evaporation of an ancient sea (the Zechstein Sea) over 200 million years ago. The main roadways and long-lasting caverns are cut into the rock-salt layer. Within the salt caverns, UK scientists and engineers have built a series of laboratories. With over 1100m of rock overhead reducing cosmic rays by a factor 1 million – and with the surrounding rock salt being low in natural background radioactivity – the laboratories make an ideal site for ultra-low background and deep underground science projects. The support facilities at Boulby include a dedicated surface building with staging / storage, workshop, health & safety, mess and office facilities. Underground there is over 1000m2 of laboratory floor space. The most recent laboratory space (the Palmer laboratory) has >750 m2 of clean-room floor space, with air conditioning / filtration, power, craning facilities, telephone and internet access, workshop & storage facilities etc. The mine operators Cleveland Potash Ltd provide additional essential support facilities. For a number of years Boulby has hosted the UK’s Dark Matter search studies, operating some of the most sensitive detectors in the world to try to detect Weakly Interacting Massive Particles (WIMPs) the strongest candidate for the missing matter in the universe. Boulby continues to host Dark Matter search studies, currently with the DRIFT-II project, the world most sensitive directional dark matter detector. Recently it has become clear that access and work-space in a deep underground environment is highly valuable in a broad range of science areas beyond astrophysics. This is very much in evidence at Boulby with a number of new studies underway or evolving including studies of cosmic rays and climate, astrobiology and life in extreme environments, development of techniques for deep 3D geological monitoring and various gamma spectroscopy studies of radioactivity in the environment. The Boulby Underground Science Facility is funded by the UK’s Science and Technology Facilities Council (STFC) and operates in close partnership with the Boulby mine operating company Cleveland Potash Limited. DRIFT is a low-pressure gas dark matter detector with direction-sensitivity for incident particles. In the search for Dark Matter a detector with direction-sensitivity is expected to provide the strongest signature in the case of a positive WIMP detection as well as enabling progress towards post-detection dark matter WIMP halo astronomy. DRIFT-II, the current DRIFT detector at Boulby, is the most sensitive directional dark matter in the world. DRIFT-II is a 1m3 gas-filled Time Projection Chamber (TPC) using electronegative (CS2) gas to reduce diffusion giving maximum track reconstruction resolution. DRIFT can operate in either spin-dependent or spin-independent mode depending on the fill gas mixture used. DRIFT is both limit-setting and undergoing R&D with various studies of technique/system performance and optimisation underway. SKY-ZERO is a Danish / UK project to better understand the role of cosmic rays in aerosol formation in the atmosphere. Aerosols are known to be important in climate models, but the mechanisms and variables behind their creation and growth are poorly understood. This experiment looks at the effect of controlled levels of ionisation on aerosol growth in an instrumented steel chamber containing pure air and trace additives to simulate, as well as possible, typical Earth’s atmospheres. Operating the experiment at Boulby and within a purpose build lead and copper ‘castle’ allows the ion-induced nucleation mechanism to be studied at lower ionisation levels than ever before. Thus enabling the investigation of (and unambiguous discrimination between) ‘neutral’ and ‘ion-induced aerosol’ nucleation and growth mechanisms. Studies are underway to explore the use of Muon Tomography for deep 3D geological surveying applications. Muons are highly penetrating charged particles that are produced by cosmic rays from space and bombard the Earths atmosphere. On the Earth’s surface about 1 muon passes through an area the size of your hand per second. Deep underground muons are attenuated by many orders of magnitude but the muons that do penetrate can potentially be used to produce an ‘image’ of the structures above. The technique, ‘Muon Tomography’, is similar to CT scanning in medical imaging, but as muons are more penetrating than X-rays much larger and deeper structures can be imaged. Muon tomography has already been successfully used to image deep structures such as the interior of volcanoes and pyramids. Work is now underway to explore the use of the technique for imaging even deeper structures, with possible applications in mining and in monitoring for deep sub-surface storage initiatives such as Carbon Capture and Storage (CCS). With its existing deep underground science facility, its depth and ease of access to underground spaces of various depths Boulby is uniquely well suited to the development of muon tomography techniques and instrumentation. The field of ‘astrobiology’ seeks to investigate the limits of life on the Earth, the possibility of life beyond Earth, to prepare for the eventual human exploration and settlement of space and to apply this work to environmental challenges on the Earth. Boulby Mine, with its unique geology and existing deep underground science facility infrastructure, offers potential to make key advances in these areas. To facilitate Astrobiology at Boulby we are establishing the Boulby International Subsurface Astrobiology Laboratory (BISAL) connected to the current Palmer Lab. A rich programme of Astrobiology work is underway for BISAL including studies of life at depth and life in salt (both of significance to studies of life on Mars), studies of the effects of radiation (and lack of it) on life and the evolution of life. Boulby is also being used as a UK ‘Analogue’ site where exploration techniques and instrumentation for the exploration of other planetary bodies can be tested in remote & realistic conditions (MINAR – Mining and Analogue Research). The analogue programme, run by the UK Centre for Astrobiology, currently involves other organisations including NASA, Surrey Space Centre and DLR. In addition to the usefulness in astrobiology it is anticipated that some of the instrumentation development work in the above will also be of relevance to industrial geological exploration needs, for example in mining, and effort will be made to explore and exploit these links when found. The technique of gamma spectrometry using high sensitivity germanium detectors enables researchers to measure and identify trace levels of radioactivity in samples – an important and useful capability in a variety of studies from material selection in ‘rare-event physics’ to numerous studies of the environment. Boulby currently operates a 2kg ultra-low background germanium detector for gamma spectrometry. Operating such a system deep underground, free of interference from cosmic rays, enables improved sensitivities of orders of magnitude compared to that achieved in surface facilities allowing the very lowest levels of radioactivity to be measured. First joint detection of gravitational waves with both the LIGO and Virgo detectors. British-designed and built technology being used in the hunt for gravitational waves has enabled another scientific first – and is now also helping fix broken bones. Scientists from 11 UK universities, and 20 other nations, have used a network of three observatories across the United States and Europe to detect the collision of two gigantic black holes, about 1.8 billion light years away. The use of three detectors allowed very precise measurement of the collision, which generated a huge burst of gravitational energy equivalent to about three times the total energy in our Sun. Gravitational waves are ripples in space, and cannot be detected through ordinary telescopes which use electromagnetic radiation such as visible light or gamma rays. Previous gravitational wave detections only used two detectors. The historic three-detector observation was made mid-morning on 14 August, by both detectors of the Laser Interferometer Gravitational-Wave Observatory (LIGO) in Louisiana and Washington state in the US, and the Virgo detector near Pisa in Italy. The detectors recorded the burst of energy as the two black holes – about 31 and 25 times the size of our Sun – spun together. UK Science Minister, Jo Johnson, said “The latest detection of gravitational waves is an excellent example of international collaboration, which was only made possible due to the breakthrough work undertaken by UK scientists and engineers. The LIGO detectors rely on British-designed technology to remove vibrations caused by natural and human activity, so that the incredibly tiny distortions caused by the gravitational waves can be accurately detected. That technology is being used in reverse to test a process to grow human bone in a laboratory. The new technique – known as “nanokicking” – vibrates stem cells thousands of times a second, to stimulate the production of bone cells. The new ‘bone putty’ has the potential to be used to heal bone fractures and fill bone where there is a gap. The main linac driving the European XFEL, suspended from the ceiling to leave space at floor level, photographed in January 2017. (Image: D Nölle/DESY). The global science community is celebrating the official inauguration of the world’s largest X-ray laser at the international research facility, the European XFEL. This event marks the start of user operation after eight years of construction. European XFEL is located in Hamburg and Schleswig-Holstein in Germany, and is capable of generating extremely intense X-ray laser flashes that will offer new research opportunities for scientists across the world. UK scientists at the Science and Technology Facilities Council (STFC) have played a significant role in the creation of XFEL, by designing and creating the Large Pixel Detector (LPD) – a cutting edge X-ray camera that can capture images of ultrafast processes such as chemical reactions. In addition to the LPD, designed and built by STFC’s Technology Division, STFC’s Central Laser Facility is currently building a DiPOLE100 laser for the European XFEL (directly funded by STFC and EPSRC), where it will be used to recreate the conditions found within stars. The UK will soon be extending its relationship with XFEL by signing a partnership agreement, allowing UK researchers access to the facility through an STFC-managed subscription. The formal procedures of accession for the UK to join XFEL are underway. In anticipation of this being completed in the coming months the UK has already contributed the majority of its commitment towards the construction costs of the facility. Dr Brian Bowsher, Chief Executive of STFC, said: “The UK, through STFC, is already contributing a great deal to this project in terms of equipment and expertise, and we are looking forward to ratifying formally the UK’s involvement in XFEL. XFEL offers many exciting opportunities to the research community and STFC is delighted to support the UK’s involvement with this international facility. The European XFEL is an international research facility of superlatives: 27,000 X-ray flashes per second and a brilliance that is a billion times higher than that of the best conventional X-ray sources will open up completely new opportunities for science. Research groups from around the world will be able to map the atomic details of viruses, decipher the molecular composition of cells, take three-dimensional “photos” of the nanoworld, “film” chemical reactions, and study processes such as those occurring deep inside planets. The construction and operation of the facility is entrusted to the European XFEL GmbH, a non-profit company that cooperates closely with the research centre DESY and other organisations worldwide. The company, which has a workforce of about 300 employees, entered in its operating phase on 4 July and has selected the first 14 groups of scientists to carry out their ambitious research projects at the facility from September 2017, including a team from the UK. With construction and commissioning costs of 1.22 billion euro (at 2005 price levels) and a total length of 3.4 kilometres, the European XFEL is one of the largest and most ambitious European research projects to date. At present, 11 countries have signed the European XFEL convention: Denmark, France, Germany, Hungary, Italy, Poland, Russia, Slovakia, Spain, Sweden, and Switzerland. The United Kingdom is in the process of joining. In December 2014 the UK government announced that the UK would invest up to £30M (about 38 M€) to become a full member of the European XFEL as the result of the input received to the BIS Capital Consultation exercise. The UK will become the 12th member of the European XFEL project and STFC is now working with the European XFEL project and the other partners to negotiate UK membership. The UK, through STFC-funded Diamond Light Source, is also the host for the UK’s XFEL hub. Housed within the existing Diamond infrastructure, the hub will enable users to fully prepare for their experiments with currently operating XFELs and the European XFEL when it comes online in Hamburg in 2017. The UK Hub (which is directly supported by MRC, BBSRC and the Wellcome Trust) will provide support in terms of sample preparation, data processing and training. 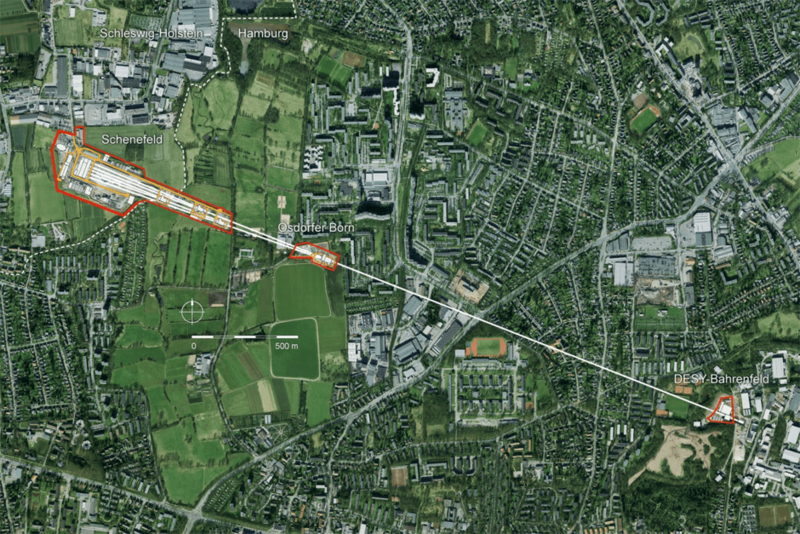 There will also be a dedicated fibre link from Hamburg to Harwell enabling users to carry out data analysis back in the UK, with support from the UK Hub team. The European XFEL is the culmination of a worldwide effort, with European XFEL GmbH being responsible for the construction and operation of the facility, especially the X-ray photon transport and experimental stations, and its largest shareholder DESY leading the construction and operation of the electron linac. The facility joins other major XFELs in the US (LCLS) and Japan (SACLA), and is expected to keep Europe at the forefront of X-ray science for at least the next 20 to 30 years. A full account of the European XFEL and its superconducting linac, which appeared in the CERN Courier July/August 2017 issue, can be read here. See the full STFC article here . See the full CERN article here . The most advanced space weather radar in the world is to be built in the Arctic by an international partnership including the UK, thanks to new investment from NERC [Science of the Environment], with scientific collaboration from STFC. The EISCAT [European Incoherent Scatter Scientific Association]_3D radar will provide UK scientists with a cutting-edge tool to probe the upper atmosphere and near-Earth space, helping them understand the effects of space weather storms on technology, society and the environment. The northern hemisphere already hosts several EISCAT radars, situated in the so-called auroral oval – where you can see the northern lights or aurora borealis. They take measurements in a region of the Earth’s upper atmosphere called the ionosphere – from about 70 to 1000 km altitude. They sample the electron concentration and temperature, and the ion temperature and velocity at a range of altitudes along the radar beam direction. But the current EISCAT radars provide a single pencil beam, so researchers can only look at one small portion of the sky at a given time. One of the world’s fastest detectors, capable of capturing images in billionths of a second, has been developed by the UK for use at the world’s largest X-ray laser, the European XFEL. The Large Pixel Detector (LPD) is the first advanced detector to be installed at the European XFEL in Hamburg, Germany. The LPD is a cutting-edge X-ray camera developed at the Science and Technology Facilities Council’s (STFC) Rutherford Appleton Laboratory near Oxford. Dr Brian Bowsher, Chief Executive of STFC, said: “This is a significant milestone for the European XFEL and we are delighted to make such an important contribution to the project. “International collaborations are key to developing these state-of-the-art facilities and this work reinforces the international role STFC and the UK has in science. The LPD is the first fully functional X-ray light detector to record at a rate of 4.5 MHz—4.5 million pictures per second, fast enough to keep up with the European XFEL’s high repetition rate of 27,000 pulses per second, which are arranged into short bursts. The LPD will allow users to take clear snapshots of ultrafast processes such as chemical reactions as they take place. STFC’s Matthew Hart, the lead engineer who has worked on the LPD since 2007, said: “It’s such a great feeling to see the detector installed ready for experiments. It’s taken 10 years of development to meet some really challenging requirements and finally the day has arrived to see it working for real. “It was made possible thanks to the world class engineering team we have at STFC’s Rutherford lab in the UK, huge credit goes to them for their hard work and commitment over such a long and difficult project. The LPD operates far beyond the scope of any commercial detector or camera. Its design enables the detector to capture an image every 222 nanoseconds (billionths of a second)—an unprecedented rate that allows it to capture individual ultrashort X-ray laser flashes from the European XFEL. Additionally, the detector has a very high so-called dynamic range, meaning it can pick up signals as weak as a single particle of light, also known as a photon, and as strong as a flash of several tens of thousands of photons in two neighbouring pixels. In a typical experiment at the European XFEL, users will place samples in the path of incoming X-ray laser pulses in order to study their structure at the atomic level. Detectors will pick up the X-ray laser light scattering off of the sample, which often consists of individual molecules. The LPD’s high dynamic range allows for very high resolutions showing the finest details from samples. An attosecond is to a second what a second is to 32 billion years. This is how fast the short pulses of light operated by a Free Electron Laser (FEL) particle accelerator could be operating at in the not too distant future, unlocking new windows of scientific exploration. A brand new research facility that is currently under construction at the Science and Technology Facilities Council’s (STFC) Daresbury Laboratory in Cheshire is ready to become the world’s first facility designed to develop, test and advance new technologies for this next generation of FEL accelerator. CLARA (Compact Linear Accelerator for Research and Applications) has just successfully generated its first electrons, a significant milestone in its development, as it aims to bring the UK’s world leading expertise and experience of FELs to a whole new level. A FEL is unparalleled in its capability as a light source and is poised to be responsible for significant scientific breakthroughs in areas ranging from healthcare and new materials to sustainable energy. Scientists have already demonstrated its capabilities in a number of areas, from developing materials for the aero industry, to understanding new ways of controlling mosquito-borne diseases, to name a couple. But FEL technology is still at a relatively early stage and the potential for improvements is enormous. With very few FEL research capabilities in existence, new ideas and developments are extremely difficult to model and test experimentally. CLARA will provide the vital stepping stone between the development and testing of multiple new FEL technologies and their implementation onto any existing or planned FEL facility, in the UK or internationally. CLARA’s first electrons were generated at around 4 million electron volts (MeV) and, over the next few months will go through a steady conditioning process, eventually ramping up to 50 MeV to be ready for use by the end of the year. It will also benefit from a new electron gun source that has been tested on VELA – another particle accelerator at Daresbury dedicated for research by industry. CLARA and VELA will be linked at source so that CLARA can also help support research on VELA. Once fully constructed CLARA will extend to 90 metres and its beam will reach a staggering 250 MeV – 99.99% of the speed of light! Its flexibility and tuneability means that it will be able to test out numerous FEL technologies for use in future FEL facilities, both in the UK and internationally. Read further information about STFC’s Accelerator Science and Technology Centre. Free Electron Lasers (FELs) are an increasingly important kind of light source. Standard lasers can be very bright sources of visible light but they soon fade away in the deep ultra-violet and x-ray regions of the spectrum. FELs represent a radical alternative to conventional lasers, being the most flexible, high power and efficient generators of tuneable coherent radiation from the infra-red to the X-ray. FELs can have the optical properties that are characteristic of conventional lasers such as high spatial coherence and a near diffraction limited radiation beam, but FELs combine a high energy electron beam and a magnet called an undulator in such a way that all of the electrons emit light of the same wavelength at the same time, producing huge bursts of light. The latest FELs produce pulses of X-ray light that are powerful and fast enough for scientists to take stop-motion pictures of atoms and molecules in motion. Chilbolton Observatory, located on the edge of the village of Chilbolton near Stockbridge in Hampshire, England. The facilities are run by the STFC Radio Communications Research Unit of the Rutherford Appleton Laboratory and form part of the Science and Technology Facilities Council. One of the world’s most advanced weather radar research facilities, which is based in the UK, is celebrating its 50th anniversary this week. Since opening on 14 April 1967, the Science and Technology Facilities Council’s (STFC) Chilbolton Observatory has been utilising state-of-the-art instrumentation to make observations of weather and space. The observatory, which is run by STFC’s RAL Space, enables world-leading research into meteorology, radio communications and astronomy. Director of RAL Space Dr Chris Mutlow said: “Celebrating this momentous anniversary is a proud moment for STFC, RAL Space and the community of users who access the facilities. “It is particularly significant for those who have contributed to its growth, and enjoyed the many achievements and amazing science that have taken place there. The site was an RAF airfield during World War Two that was adapted for the US Airforce and their heavy bombers. After the war, the airfield was used by local aviation companies for aircraft testing and saw some of the UK’s earliest supersonic flights. It was decommissioned in 1963 and construction of the Chilbolton Observatory began in 1964. The most noticeable characteristic of the site is the fully steerable 25 metre antenna, known colloquially as ‘the dish’. Its great size makes it sensitive enough to pick up the faintest of signals emitted from radio stars in space, but also as a radar to detect satellites in Earth orbit several thousand kilometre above, or rain and cloud several hundred kilometres away. Since its inception the dish has proved to be a continually adapted tool to provide key data for researchers around the world. Robin Watson was a member of AEI’s Apprentice Training School at Trafford Park and spent three months helping to build the dish. He said: “I remember that the construction process didn’t go completely smoothly. The 400 tonne dish was designed to pivot vertically so that it could point in any direction from straight upwards to directly at the horizon. “The weight of the dish had to be counterbalanced so that it would move smoothly, and they mixed up a steel and concrete ballast to do the job. However, they didn’t get the calculations for the mix quite right – the dish would move downwards all right, but couldn’t be persuaded to go back up again. In the end, they had to weld steel counterweights onto the structure itself to compensate. In the 1960s and 1970s, the dish supported pioneering research in radio astronomy. That work is no longer done with the 25m antenna, but since 2010, the observatory has supported radio astronomy observations with LOFAR (Low Frequency Array). The antenna hosts the Chilbolton Advanced Meteorological Radar (CAMRa), which is the world’s largest fully steerable weather radar. Thanks to this powerful radar, and an ever-growing suite of sophisticated research instruments, the Chilbolton Facility for Atmospheric and Radar Research (CFARR) is renowned for its capabilities in atmospheric and weather measurements, thus supporting research to improve numerical models used to analyse and forecast storms and flooding. Station Manager at the Chilbolton Observatory, Darcy Ladd, who has worked at the observatory for the past 23 years, said: “All of the people who work here, including me, are really proud of the contributions the Observatory has made to science and engineering. We look forward to supporting more research for years to come.